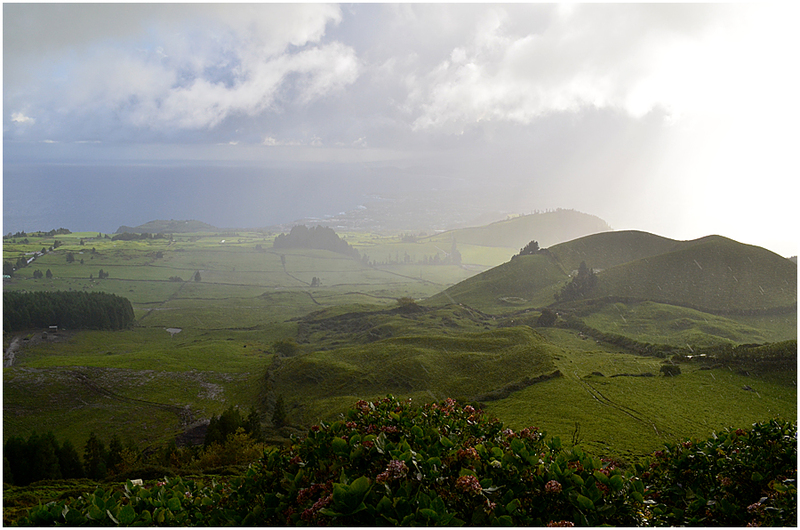 Some more images from our visit to the island in the Azores last year. Also known as “Ilha Verde” or Green Island, this is a little paradise in the middle of the North Atlantic Ocean, about three hours’ flight from Lisbon. 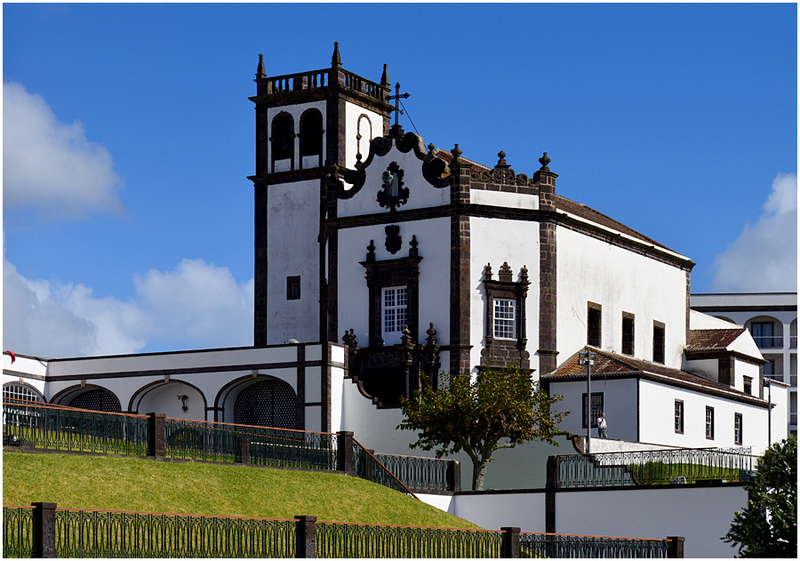 The church of São Pedro, Ponta Delgada. 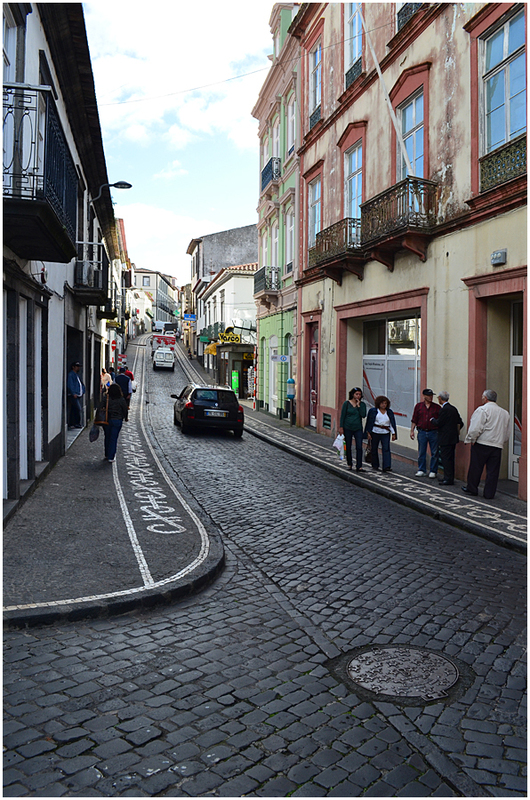 A typical Ponta Delgada street, the Rua Machado dos Santos, along which we walked from our hotel to the city centre every day. 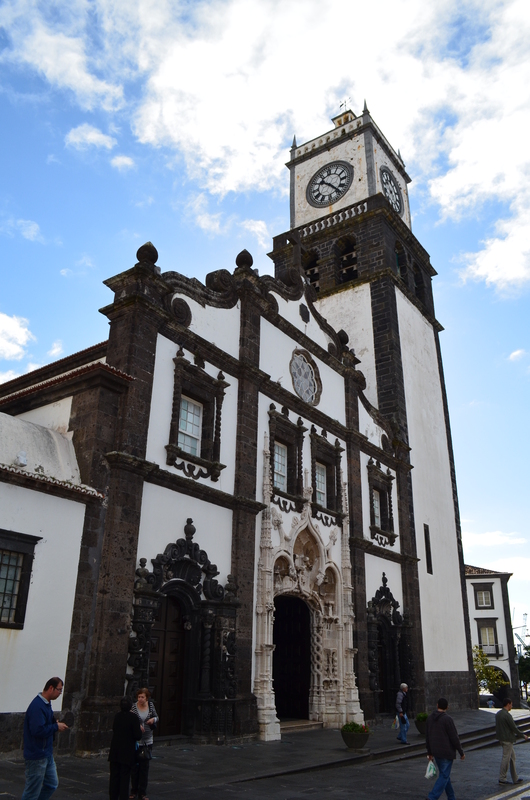 The Matriz, or main church of São Miguel, also known as the Igreja de São Sebastian. 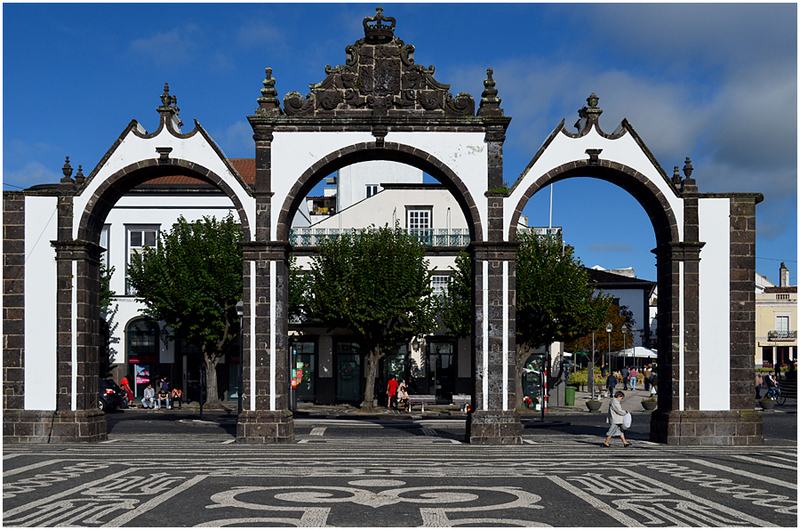 The Portas da Cidade, or City Gates, mark the site of the original quay from which over many decades a vast number of Azoreans departed for the US and Canada, and also where new immigrants arrived by ship from the rest of Europe. Today it is some 200m from the waterside. 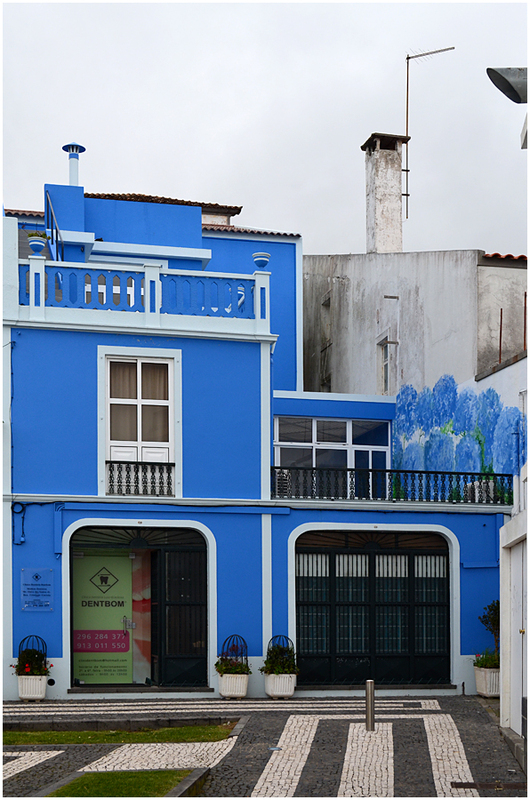 A touch of colour marks this dentist’s surgery on the Rua da Grande Guerra near the waterfront. 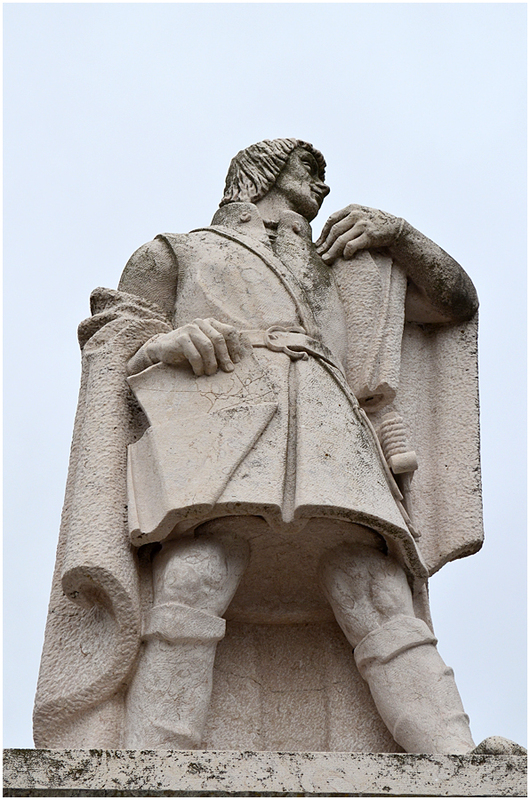 Statue to Gonçalo Velho Cabral (c. 1400 – c. 1460), discoverer of the islands of Santa Maria and São Miguel. The statue stands in front of the Portas da Cidade. 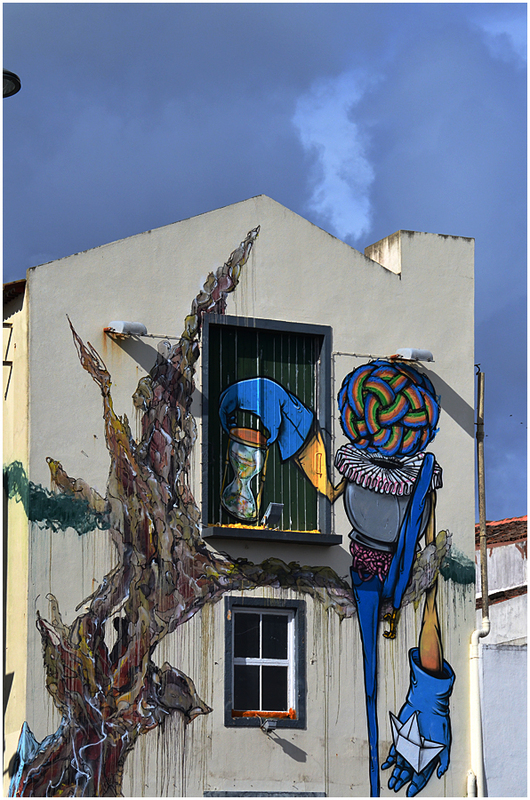 Colourful and imaginative wall art at the entrance to the Clube Naval, or Yacht Club, of Ponta Delgada. I spent many a happy hour dining here or stopping for a drink – cheap, because I was a member! The Chapel of Mae de Deus (Mother of God) sits on a hill overlooking the rest of the city centre. 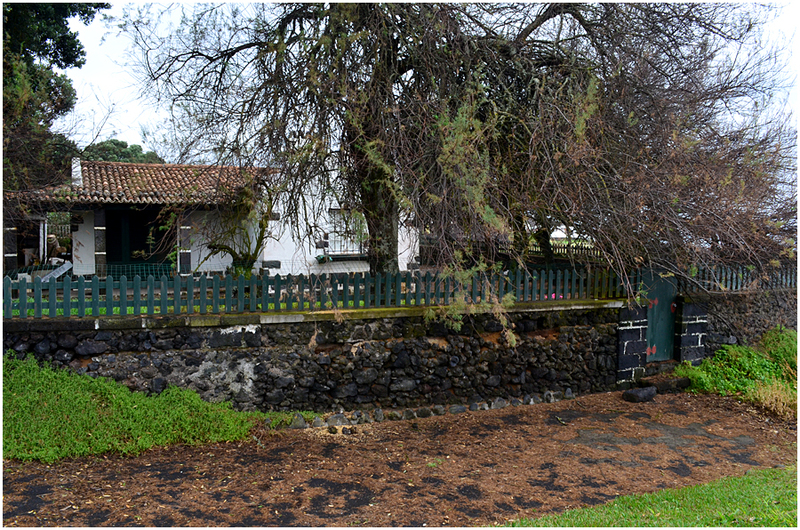 This little cottage, on the Canada do Boralho, Praia Pequena do Pópulo, a short way outside the city, was my home for most of the time I lived on the island in 2000 and 2001. The beach is just below the cottage and on the right of this view, a mere 30m or so from what was my bedroom window! 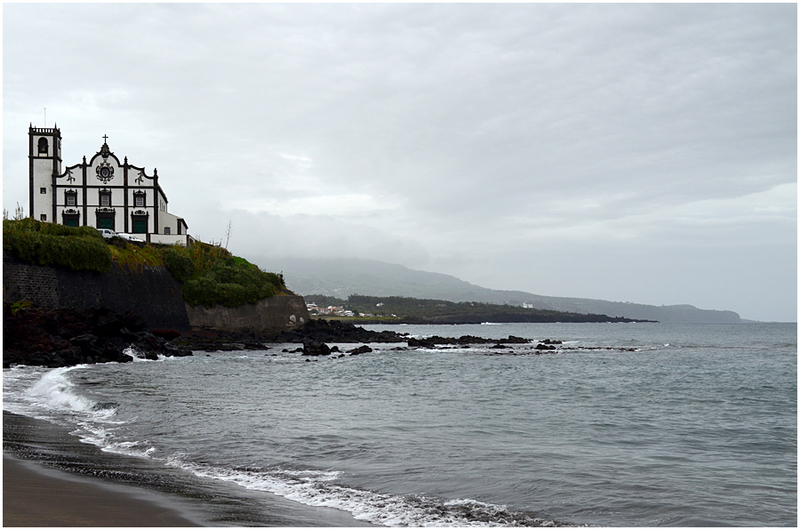 Between Pópulo and Ponta Delgada is the suburb of São Roque. Here the parish church of São Roque towers above the little bay. 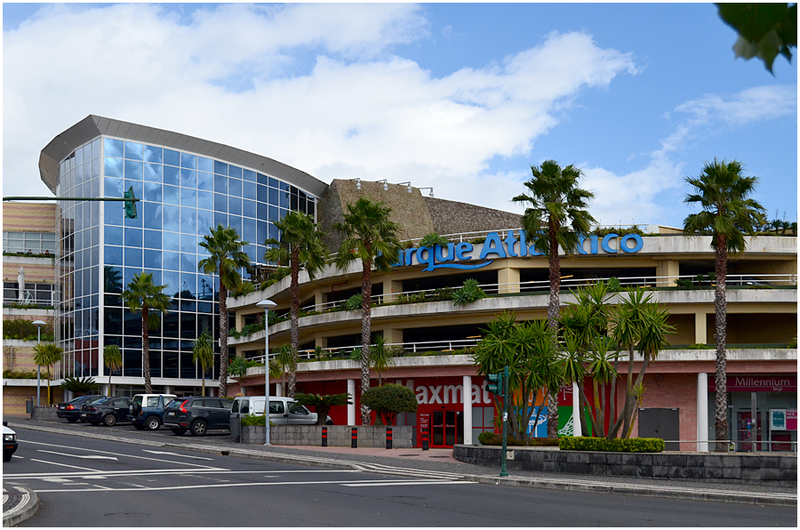 The Parque Atlantico in the city is a new shopping centre on the northern outskirts of Ponta Delgada. Just beyond it, from this angle, is where the Modelo hypermarket used to be where we did our weekly grocery shopping, including wine, port, beer and Scotch! 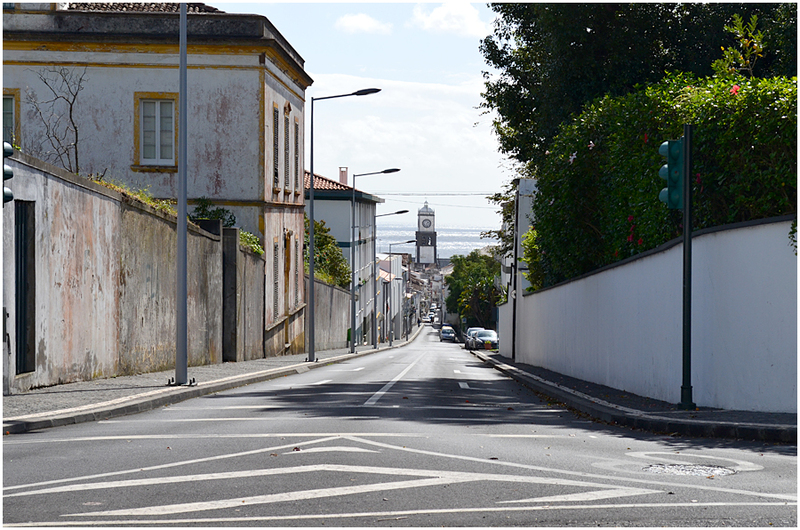 Looking down the Rua da Sant’Anna towards the harbour. Note the tower of the Matriz church. 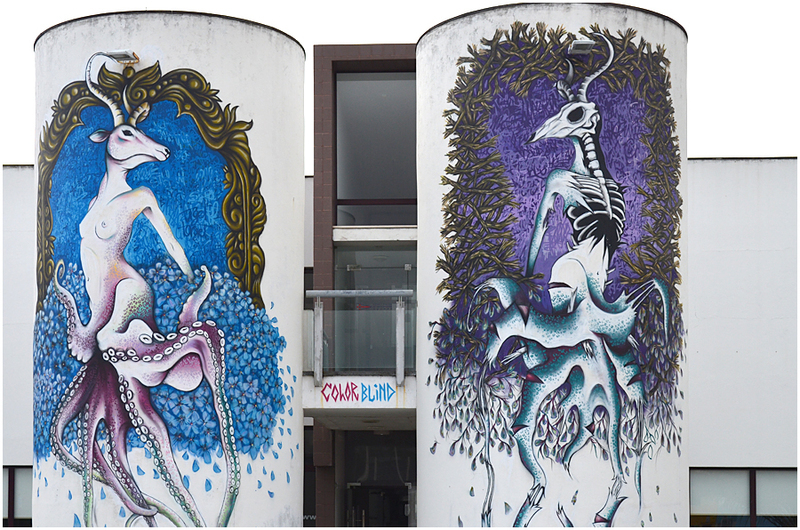 Some more wall art in the city. 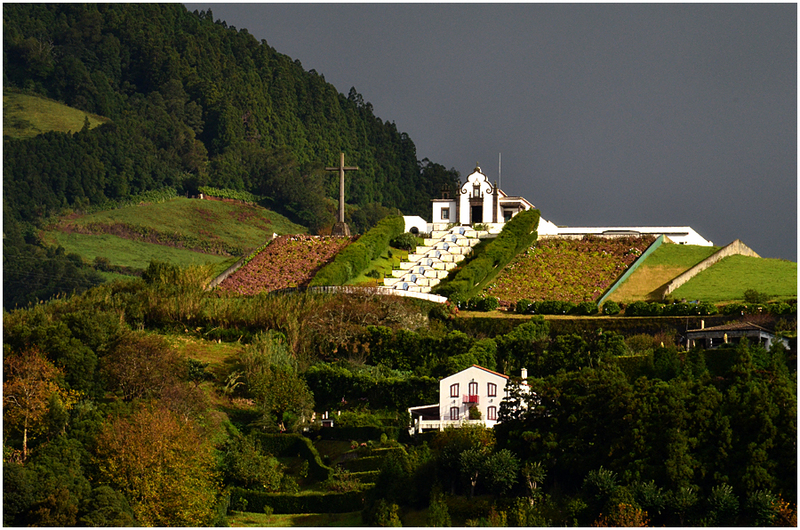 The view along the centre of the island from the Pico do Carvão. The north coast is on the left, the south coast just out of sight on the right. 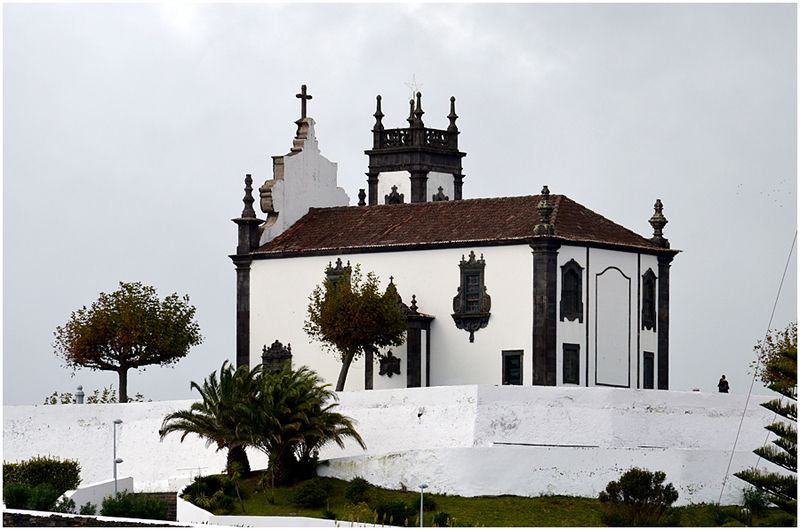 The Ermida da Nossa Senhora da Paz, or Our Lady of Peace chapel, is high above the island’s former capital, Vila Franca do Campo, on the south coast. Every block of stone, bucket of sand and bag of cement, everything needed to build the chapel, was carried up the mountain on the backs of the builders – a wonderful expression of faith.